Cut the ends of the net so they are a straight and even piece of fabric. Carefully pin the net on one edge of the candle. 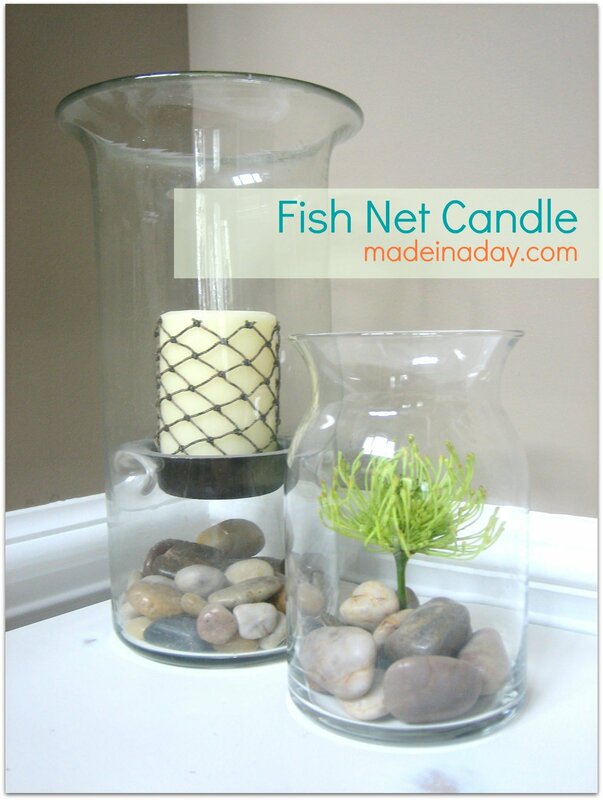 Roll the net and pin the net tight to the candle even with the other end of the net you just pinned. Straighten maneuver and tighten the net to fit the candle. Trim the long end of the net even with the first pins. I left the bottom edge a little longer and pinned it to the bottom. (This is because it is almost impossible to make both ends even on the edges). Trim top edge of the net even with the edge of the candle. Hot glue the knots together on edges. Then hot glue the bottom nets and remove pins. That’s it! This cost me nothing and mine are more authentic than Target! Their version wasn’t even a net it was a molded wax rope. 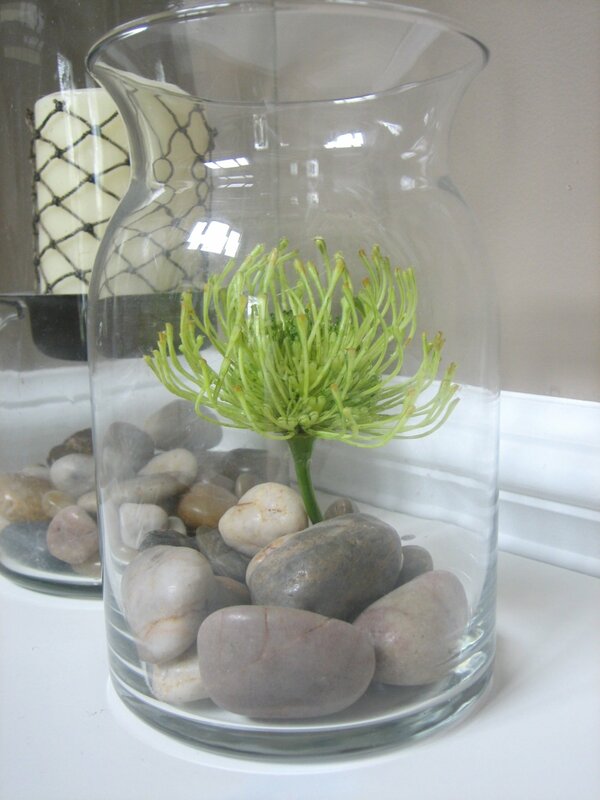 I made this cute Faux Geranium with a great jar, some filler rocks and a faux plant! Love it! Very simple and clean looking! 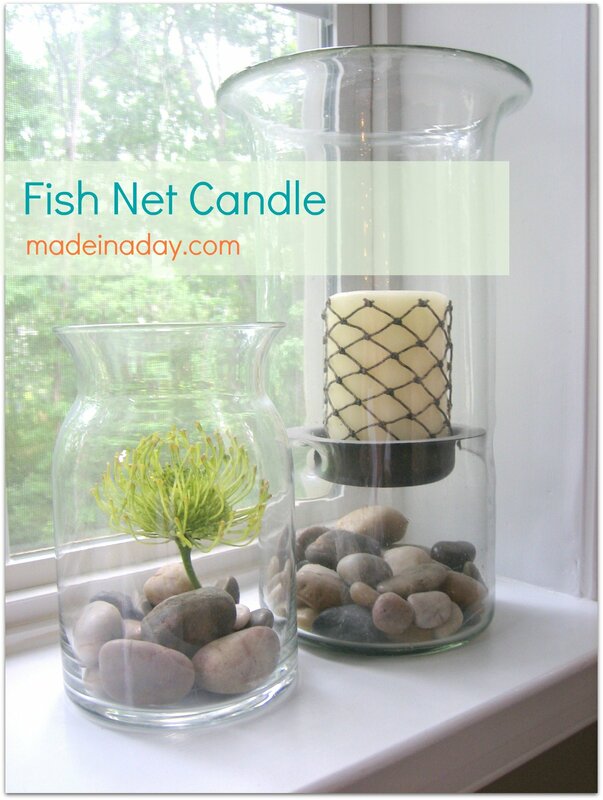 Your Fish Net Candle has been featured for Functional Friday! Thanks for sharing at Handmade Tuesday. I chose you as a feature for this week’s party! Super cute idea! It looks great in the jar! I like it better than the Target inspiration! Thanks so much for linking on Busy Monday at A Pinch of Joy. Hope to see you again soon! Wow, did that ever come out cute! So cute and it really does look better than Target’s! We are your newest follower. We would love if you would check out our blog and follow! Looks great! I love not spending any money for something that looks so expensive! Good for you for having the wherewithal to go home and make the candle. It could be the beginning of a very fun table theme. Nice! I’d love for you to add it on my link party at: http://printabelle.com/?p=3188 Thanks! HI Kim, I found your post on the fish net candles at Ivy and Elephant’s party. Thanks for the idea. 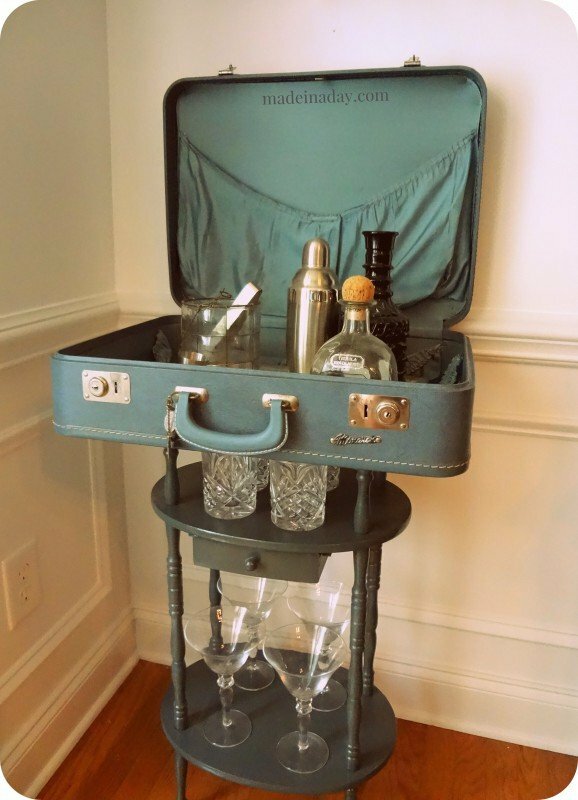 It would work in nicely with some of the beachy feel at my house! Love it! Perfect for decor for summer! I like it, it looks better than the Target version and I love that it was FREE!! Thanks so much for posting on Mauvin’ Monday! This is such a great project! Would you consider linking it up to my Pinworthy Projects Party? I’d love to have you join the party. Great Kim! Love them both!